Indian food is amazing. One of the things that makes it so great and exotic is the cooking methods used. Among the best of these methods is the use of the tandoori oven, a cylindrical oven used to primarily cook skewered meat and various flatbreads with heats upwards of 900 degrees Fahrenheit. Regrettably, such heat and taste is hard to replicate in the average home kitchen. However, if you're in possession of an unglazed ceramic flower pot and a charcoal grill, you can come very close! And yes, it does have to be charcoal, as gas grills do not have the ability to get nearly as hot. 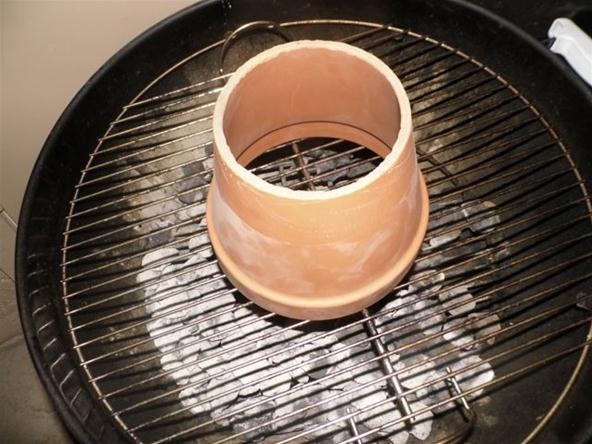 Here is how to make a DIY tandoori oven at home! Grab your flower pot and find a clean place to work. You will need some kind of cutting device. I used a hacksaw (which takes literally FOREVER), but if you have access to a zip saw with a decent blade, feel free. 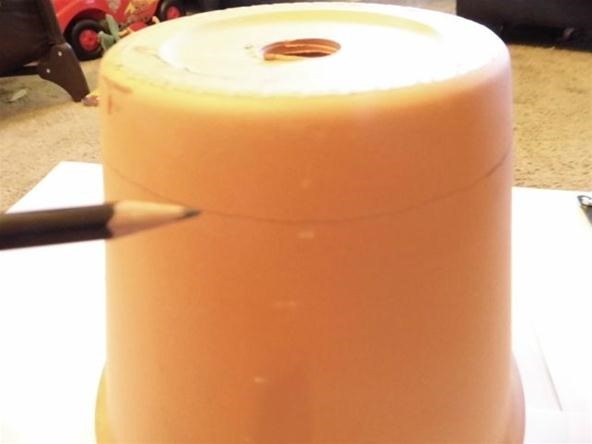 Mark an inch or so from the bottom of the pot and wrap a strip of duct tape tight around the pot. 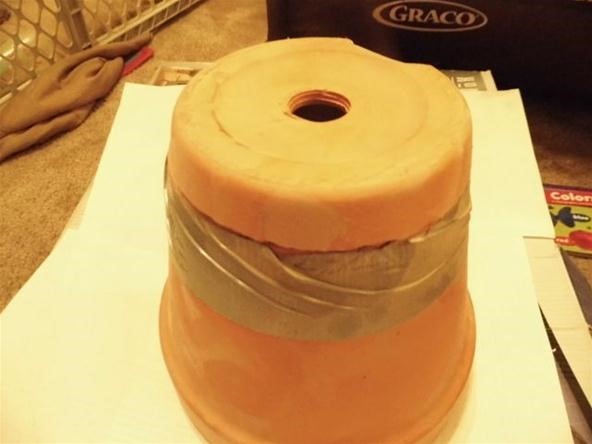 The duct tape will help prevent cracking as you saw through by creating tension that holds the pot. 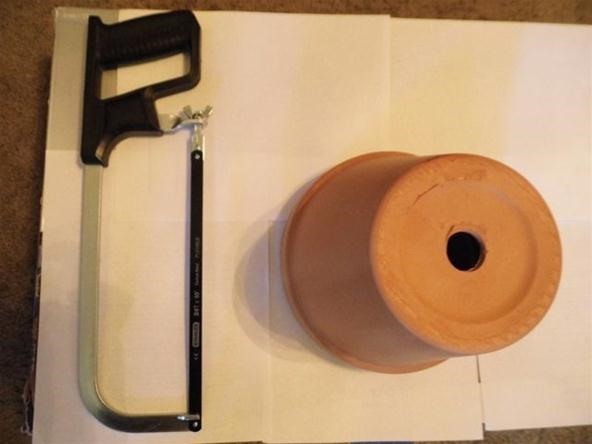 Grab your hacksaw (or zip saw if you have any sense) and begin sawing through the bottom of the pot just above the duct tape. Sooner or later, you will make it through. Peel the duct tape off. Grab your freshly sawed pot and give it a soak in water for a good 12-18 hours. This will help to ensure that when you put it on the grill, it does not crack. 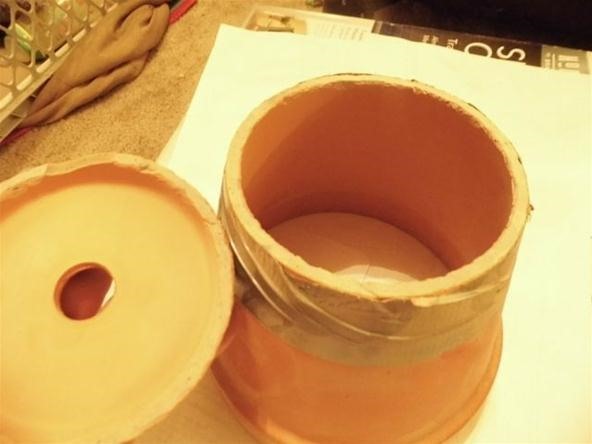 You will need to find a vessel large enough to completely submerge your pot. 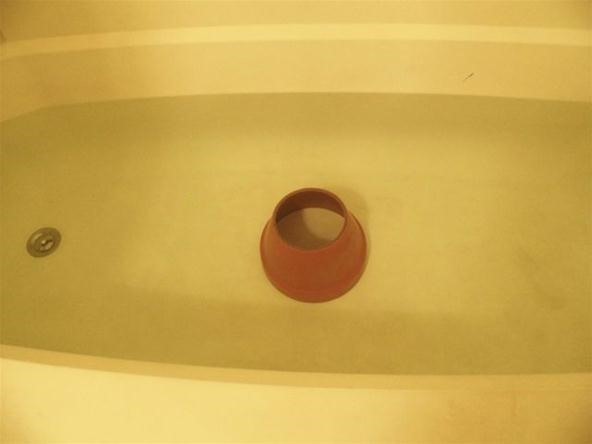 I found the bath tub was the only container I had large enough to accommodate my pot. Also, be sure to let your pot dry for several hours after the soak and before you cook with it. If you do not, your pot will crack, and your soak will have been useless. 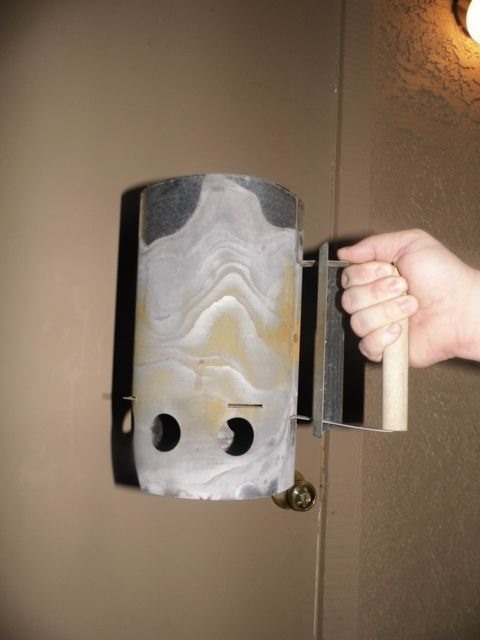 Take your trusty chimney starter (which you should own if you have a charcoal grill) and fill it up with charcoal. After you get the coals nice and hot, pour them into the center of the grill. Place the pot on top of the grill grate directly over the charcoal and cover. As soon as the coals have made the pot screaming hot, you are ready to cook! There you have it. As stated above, the tandoori oven is best suited to cooking skewered meats and flatbreads. The skewered meat you can stick down in the center of the pot and rest on the edge, and the flatbreads you can stick directly to the side of the pot to cook. What would you cook with your oven? Sound off in the comments below. Ugh... all I have is a stinking mini-gas grill. That is unfortunate :( no Indian food for you! Yeah, they are pretty useful. And it would be good to have both! Lowes has them for cheap usually. Interesting...maybe you could add a few pics of the food cooking? Thanks for the idea. No Indian restaurants around where I live :( but I love good Indian food. You're welcome! And I could lol...I did not think of that for some reason :) Indian food is way good! This is especially suited for cooking skewered meat and flatbread I have found. Whats your favorite Indian food?